Growthpoint Properties has become the first South African company to issue a Green Bond on the Johannesburg Stock Exchange. The Growthpoint Green Bonds were issued and listed on Friday the 9th of March 2018, for terms of five, seven and ten years. Green Bonds raise money that is specially allocated for funding projects that result in positive environmental and climate benefits. The R1.1 billion (USD94 million) Green Bonds issued by Growthpoint will be used to fund the company’s green buildings and green initiatives . The Green Bonds form part of Growthpoint’s R20 billion Domestic Medium Term Note (DMTN) Programme. 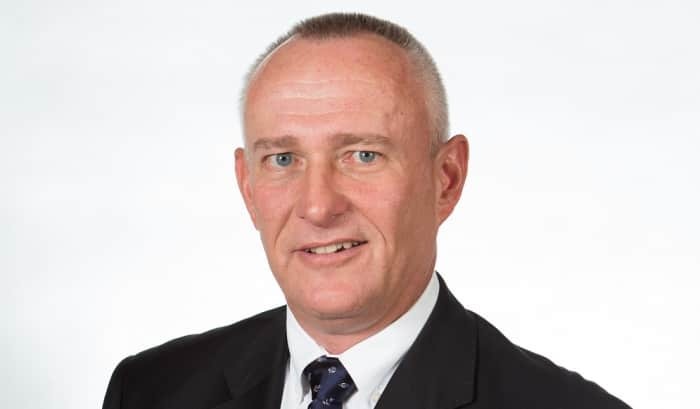 Growthpoint has a national scale Aaa.za Moody’s rating, with many banks opting to hold Growthpoint paper as High-Quality Liquid Assets (HQLA). The Green Bonds are priced at 139 basis points (1.39%) for the five-year term, at 169 basis points (1.69%) for the seven-year term and at 200 basis points (2.00%) for the 10-year term above three-month JIBAR. The bond auction took place on Tuesday, 6 March 2018, and is believed to be the first public auction in South Africa for a 10-year bond for a real estate company. The Growthpoint Green Bonds constitute green instruments falling within the Green Bond Principles of the Real Estate Sector and the green segment of the JSE’s Interest Rate Market. “The JSE is proud to welcome Growthpoint Properties to the Green Bond Segment as the first corporate in South Africa to issue a Green Bond. Growthpoint’s successful inaugural Green Bond proves there are benefits in committing to promoting South Africa’s climate-resilient future as well as for being at the forefront of the financial sector’s response to the investment challenges posed by climate change. Growthpoint is laying new foundations for the capital flows needed to achieve the commitments within the South African context for securing investments and jobs in future and is to be greatly congratulated for this” says Donna Nemer, Director Capital Markets at the JSE. Among the investors in the new Growthpoint Green Bonds is the African Local Currency Bond Fund, an initiative of KfW Development Bank and the German Government backed by additional investors. It aims to promote the development of African capital markets by acting as an anchor investor in primary bond issuance. It has invested around USD 70 million since inception in 13 countries. In addition to anchor investments, the ALCB Fund offers technical assistance to cover transaction related costs, including compliance with international Green Bond standards. The proceeds of the bonds will be used exclusively to finance or refinance Growthpoint’s new and existing sustainable green properties and its projects which reduce environmental impact. 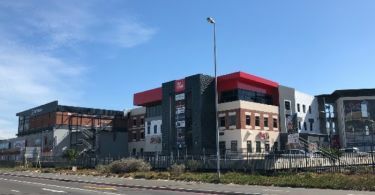 It will be mainly used to refinance funding for the green office buildings in the new Growthpoint THRIVE Portfolio and specifically the THRIVE Platinum Portfolio, which includes its top green-rated office properties. Buildings in this portfolio have a South African Property Owners Association (SAPOA) Premium- or A-grade rating. They also have a Green Building Council of South Africa (GBCSA) Green Star SA rating of Four Stars or higher (design, as-built or existing building performance). In addition, suitable industrial and retail properties with Four-Star Green Star ratings or higher will also be eligible. Environmental projects related to Growthpoint’s buildings that have positive environmental impacts, such as solar energy projects, will also qualify for Green Bond funds. 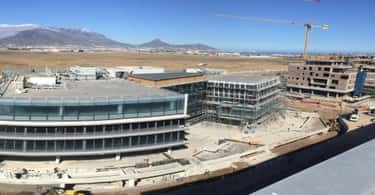 The green buildings to which Growthpoint will assign proceeds are all independently certified by the GBCSA and their costs assured by Growthpoint’s auditors. Besides annual reporting on each building’s carbon emissions, energy, water and waste, investors can access Growthpoint’s app which records the water and energy consumption on an ongoing basis.